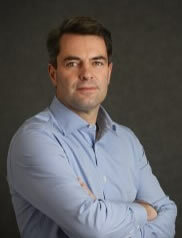 Brian is Chief Executive Officer of The Maxol Group. An honours business graduate of the University of Bradford, Brian has worked for the Group since 1986. 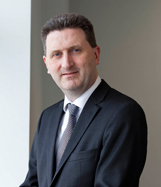 Previous to his appointment as CEO Brian was responsible for developing the Group’s extensive retail network, his role included maximising non fuel income streams, establishing food partner alliances with Mace/Spar and coordinating the Group’s marketing, sponsorship and PR activities throughout Ireland. Brian led Maxol’s successful rebrand which included rolling out the new brand identity across its network of 227 service stations by the end of 2014. Founding Director and member of the Northern Ireland Oil Federation, Brian has also worked closely with the Irish Petrol Retailers Association on improving the image of the oil distributor market and lobbied local politicians both in Dublin and Westminster on fuel duty, tax and planning. 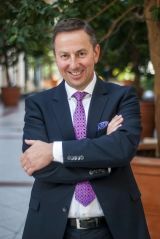 He is a former Chairman of PLATO Belfast, a voluntary body of blue chip companies which provides top executives assistance in mentoring SME’s on specific business requirements and is currently a member of CBI Council in Northern Ireland, a Director of ECR Ireland and a Board member of Retail Ireland. Brian is married to Alyson with one daughter, Jessica. His main interests outside of work centre on gardening and the occasional round of golf. John Paul is Chief Operating Officer of The Maxol Group. John Paul has a BCL from UCD and he is a Fellow of the Institute of Chartered Accountants, starting his career with Coopers & Lybrand (now PWC) in Insolvency & forensic litigation. John Paul has over 20 years retail experience with Tesco in the UK and Ireland and held the position of Commercial Director in Ireland. He has an MBA in Retailing from Stirling University. He joined the Senior Executive Team in Maxol in January 2017 and is responsible for all retail, capital developments, new business and marketing operations across the group and in developing, executing and managing the future retail business strategy. Laurence Donegan, B. Comm., A.C.M.A., joined Maxol in 1996 as Financial Accountant for Maxol Limited. Prior to this, he held a number of finance roles at Ford Motor Company and The Rank Organisation PLC. He was appointed as Chief Accountant, The Maxol Group in 1999, as Deputy Group Financial Controller in 2006 and to his current position as Chief Finance Officer - The Maxol Group in 2011, where he is responsible for all aspects of group finance, accounting, human resources and information systems. Since joining Maxol, he has participated in many cross-functional project teams which have helped generate significant cost-savings and new business. 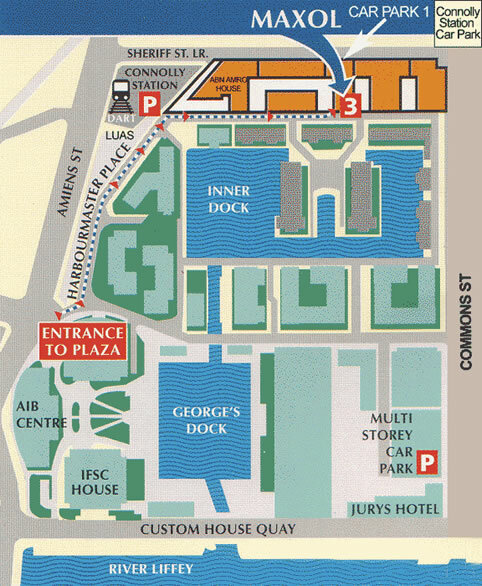 In particular, he was instrumental in integrating the accounting and administration functions for the main Northern and Southern Ireland businesses into a single head office in August 2000. 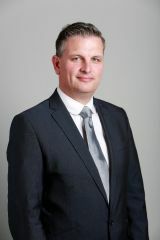 He was a mentor in the Plato North Dublin Business Development Programme from 1997 to 1999 and has been a member of the Financial Executives Association since 2005. He is married with two children. Mark Woods is the Chief Supply Chain Officer for The Maxol Group and is responsible for all aspects of operations, logistics, storage and safe transportation of products. In addition, Mark is responsible for partner relations, contract negotiation and commercial management of contractual agreements, and for the Groups extensive insurance portfolio. As well as his role as Chief Supply Chain Officer Mark is very active in the area of Future Fuels and is responsible for developing the Group’s thinking on the emergence of alternatives such as Bio Fuels, Electric and Hydrogen powered vehicles. In addition to the technical evolution of these technologies Mark is keenly interested in the various national and EU policies promoting these alternatives and represents the Group on various Industry Bodies including the IPIA and IBEC. Before joining The Maxol Group, Mark was the Operations Manager of Kerry Connect (a division of Kerry Foods), where he was responsible for the Island of Ireland distribution network including the National Distribution Centre, twelve regional depots and the commercial fleet. Prior to this Mark was Operations Manager for BWG Foods Ltd., with responsibility for the bonded warehousing and distribution operation providing the logistical service to both Value Centre and to Greenhill’s Wines and Spirits divisions. Outside work Mark is a passionate classic car enthusiast and, together with his children, is an active member of Ballyboden St. Endas GAA Club although he restricts his activity to coaching and shouting from the side-line.